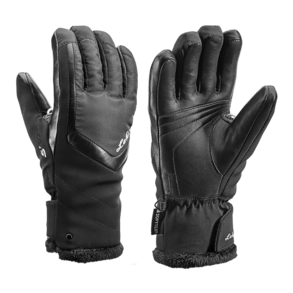 This sporty women's ski glove from Leki won't let you down: the outer material, a combination of softshell and Micro TC with a stylish leather appliqué, gives you sufficient room to move and protects your hands. The PrimaLoft® insulation reliably warms your hands while being breathable at the same time. The lining is a combination of micro Bemberg and soft plush, making the glove pleasant and dry to wear. Velvety, robust sheepskin means you'll always have a good grip on the handle. One of Scotland's oldest retail businesses still run by the same family. Founded by James Banks, in 1831, manufacturing and retailing ropes, cords and nets for farming and commercial salmon fishing. We are all passionate about the great outdoors, whether it be skiing, hill walking, sailing, camping, caravanning, cycling or fishing, therefore, we test many of the products that we sell and can advise with confidence. Banks of Perth sell a wide range of outdoor clothing and equipment including ski equipment, walking clothing and gear, camping equipment, curling equipment and more. Copyright © 2011 – 2019, Banks of Perth. All rights reserved.